A CDN places cached files of your site in different locations around the world (their data centres) so that the person using your website can get the closest copy and therefore download it faster. By having your files located on several servers across the world makes sure the user is loading the files that are nearest to them. Furthermore, CDN improves security, minimises downtime and improves SEO (as google recommend it). We recommend using Cloudflare as it is brilliant and has a FREE plan. Google has started using pagespeed as a ranking factor. How to put your website on Cloudflare? Here is a quick video that shows the process (credit CloudFlare). Below this video I will go through it step by step. 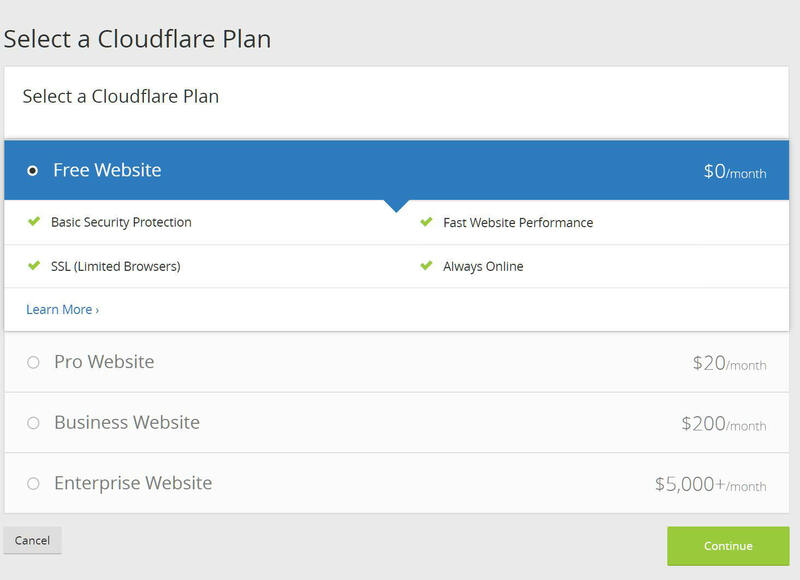 Simply add the website that you want to put onto Cloudflare. It will start to scan your site for the DNS entries it can find. 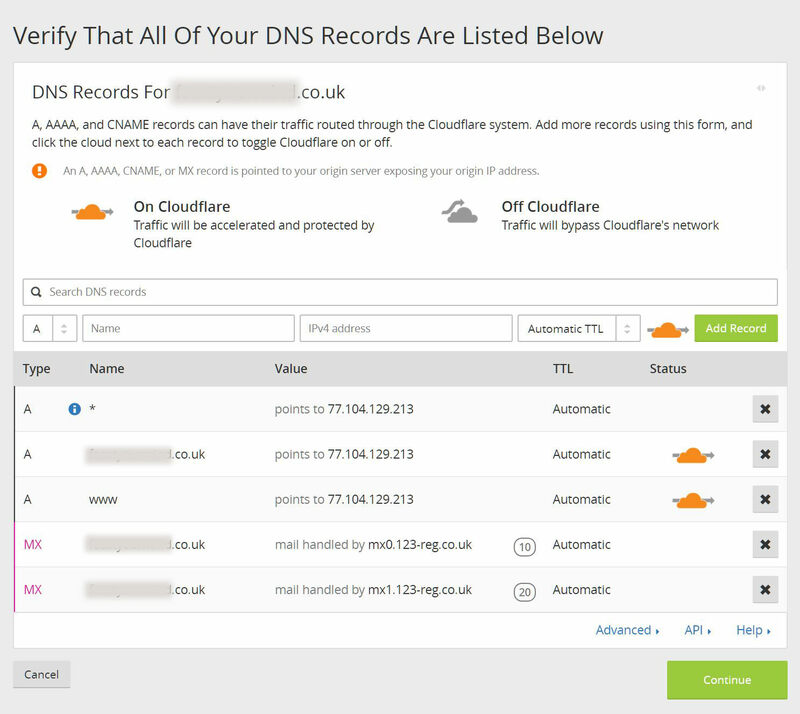 Cloudflare will find all the DNS settings for the website that it can. You need to look at where the domain is regestered and make sure that all the dns entries are added. If there are missing entries you can add them now ( or later ). Cloudflare is FREE so go ahead and select the free version. If you want to pay, have fun with that too ! 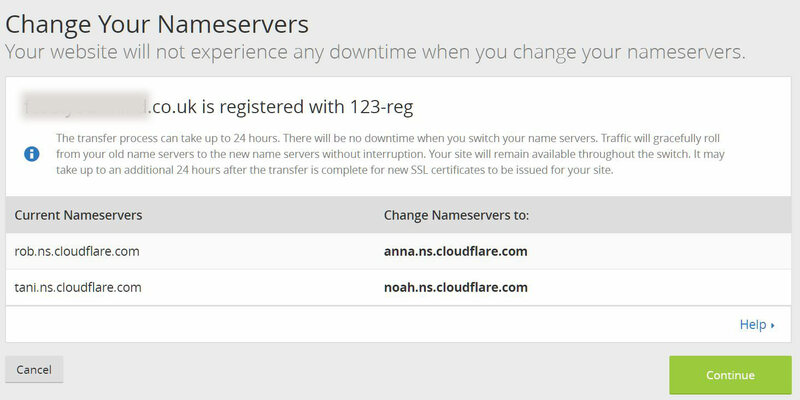 Now you need to change your nameserver details so that the domain points to cloudflare and not to the web server itself. Go ahead and do that with your domain registrar. It will tell you below what to change it from and too. Ok so now my website is on CF – now what? Well you don’t have to do much – you can take a look at their online resources on what each section does. For speed we need to be concerned with the caching and the speed tab. if you are using Divi Nitro, you dont need to worry about auto minify scripts – you can try this with other sites not using Nitro, however it may break your site – just disable and clear cache to fix if it does. You can also try Rocket Loader, however be careful as I have had issues with Divi and this – it is still beta version so we can forgive CF. That it really (unless you are on a paid version) – I dont really touch the speed tab. 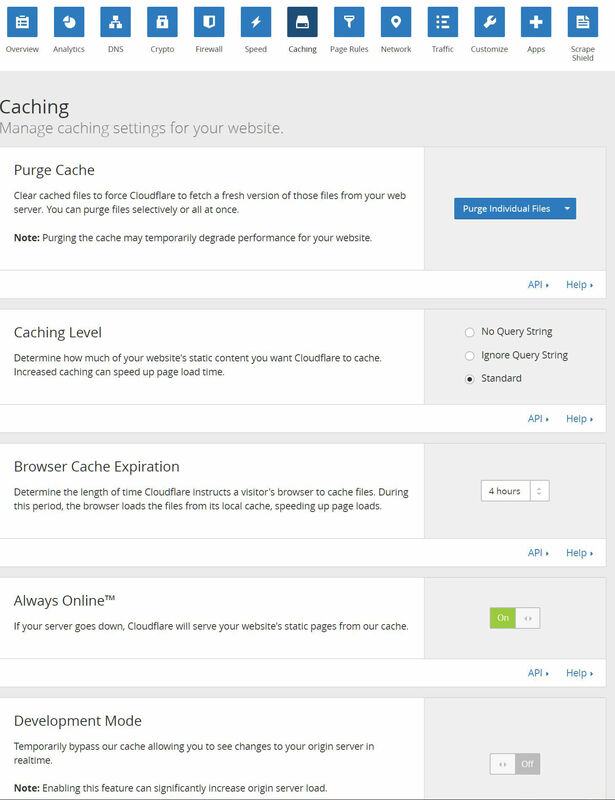 The caching tab is important to understand. It caches your files and images so if you make a change in your css for example and it doesnt show – clear your cache here. Click on Purge Cache – drop down to purge everything! Development mode is brilliant if you are doing maintenance work – just enable this and you dont have to worry about CloudFlare cache – only your browser and if you are using a plugin that too. Development mode lasts for 2 hours I belive so no need to switch it back on. That the main stuff really. I will write up a detailed document on Cloudflare in general as there are some really cool things such as redirects. We hope this has been helpful – let us know if you have any questions. I run two websites using DIVI theme and Cloudflare CDN. I’ve had a problem, some pages not loading properly (missing some css, the console showing 404 error for some resources in /cache/et folder). If anyone has the same situation – go to DIVI theme settings and turn off jss and css minification. Cloudflare has its own minification setting, when both are on, you may experience the same problem. I left jss and css minification OFF in Divi settings and ON in Cloudflare settings – everything works fine for now. Thanks for this comment! I wonder if you get better results with cloudflare doing this or divi? I have disabled it in cloudflare to not cause conflict. Thank you for this post to enhance website speed and security for my WordPress website. I followed all the steps described to link Cloudflare and my website https://renovaweb.ca with success. In few hours, my free Cloudflare acount was activated and I instantly gain speed (few seconds, yes !!!). Cloudflare and Divi Nitro together do a fantastic team to have a wordpress website faster and gain speed.